Real situation setting and interaction to discover their innovating solutions of connected environments from a lighting structure. 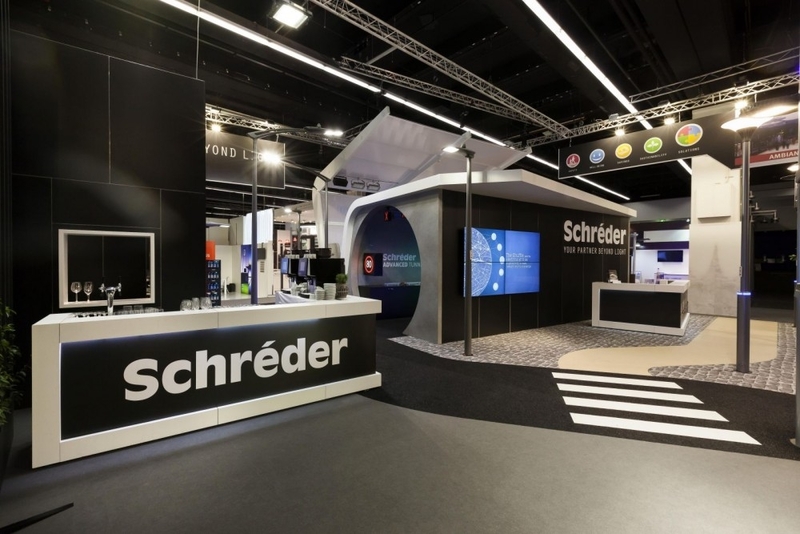 At the latest edition of the Light+Building trade fair in Frankfurt (the major one in the lighting industry) rather than only presenting its products in a ‘beautiful case’, Schréder wished to create demonstration areas. 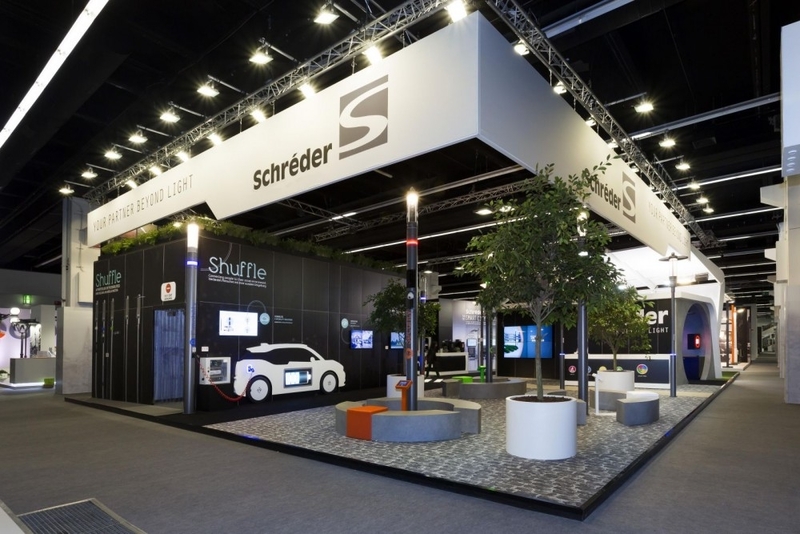 Their goals: demonstrating that far beyond the control of light, Schreder provides innovative solutions to benefit from the digital era and to create secure, comfortable and durable environments. 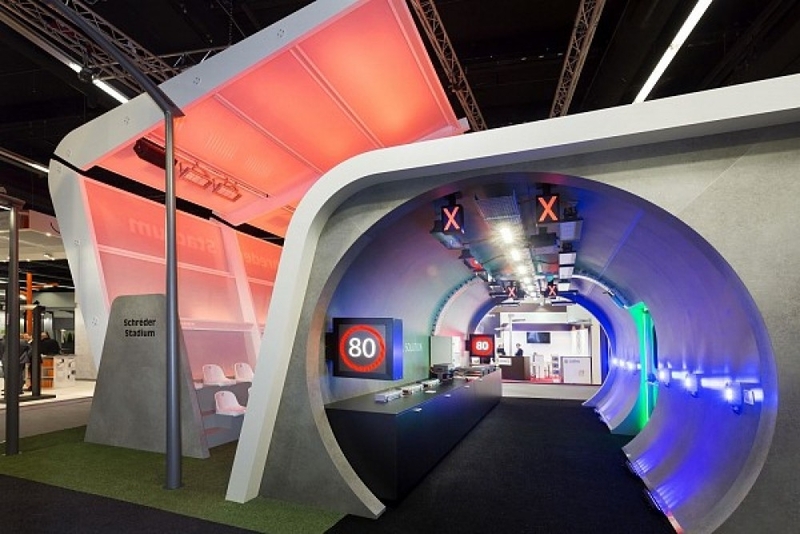 To demonstrate products in real situations, four living spaces were reconstructed on the stand: an urban centre, an industrial site, a sports stadium and even a real tunnel! In every area, the visitors became actors on a discovery of a smart lighting infrastructure. Do you want more details on the animations and technical installations of the interactive displays? Get in touch! Challenges for Conceptexpo? Yes, there were some! Constantly developing the project to meet the evolving demands of Schreder. Such as adding a real stadium and adapting our first proposal of stadium through technical and creative solutions for the use of materials and design to preserve the proposed aestheticism without touching the overall budget of the stand while ensuring its technical validation. Or adding a floor by reworking other areas of the stand, always in view of budget control. Finding technical solutions to install the 4 demonstration areas and the various animations and interactive displays. 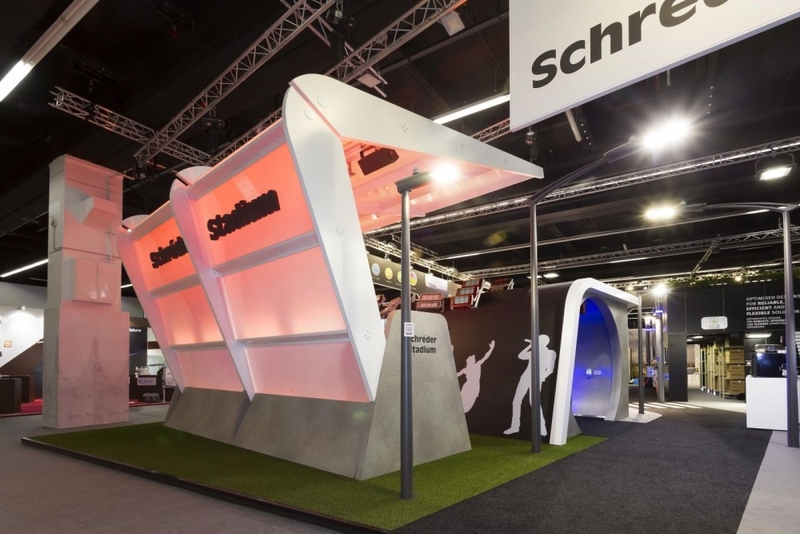 But also organising the assembly of a complex stand, within very tight deadlines and in perfect co-ordination with the Schreder teams to make room for a very detailed and technical installation of their products. 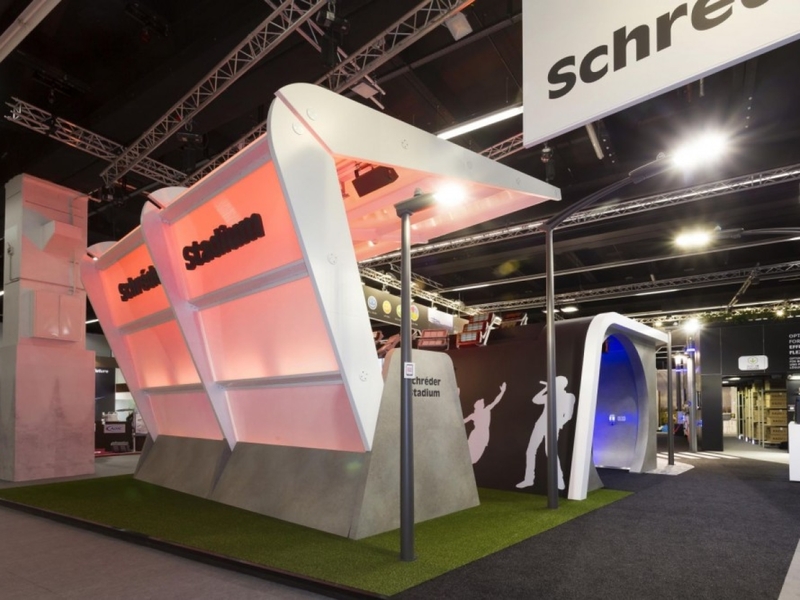 The result: a stand designed, conceived and installed through a perfect co-operation between the architects agency, the project manager, the development agency, the Conceptexpo fitters and the internal Schreder teams.. Thanks to all ! Do your products/services require a specific technical presentation? Please contact us to discuss your project.